This 21 CFR Part 11 compliant standalone data logger measures more than 16,000 readings over a -35 to +80°C (-31 to +176°­­F) and 0 to 100% relative humidity (RH) range. At the touch of a button, use the on-board display to cycle between the current, minimum and maximum logs seen during the session for both temperature and humidity. 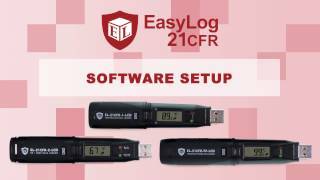 The EL-21CFR-2-LCD has been specifically developed to meet the data security required by the FDA's 21CFR part 11 regulations. As such it is suitable for use in applications where the integrity of the data is of the highest importance.